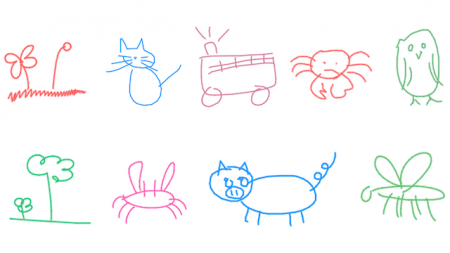 This experiment lets you draw together with a recurrent neural network model called Sketch-RNN. We taught this neural net to draw by training it on millions of doodles collected from the Quick, Draw! game. Once you start drawing an object, Sketch-RNN will come up with many possible ways to continue drawing this object based on where you left off.